pet food recall | YesBiscuit! No Salmonella-related illnesses have been reported to date in association with these product lots. MedVet, a pet hospital in Madisonville, is waiting on test results to confirm that the illness that caused the deaths and illness of those dogs was HGE. Results were expected Friday but may not be available until sometime next week. Hemorrhagic gastroenteritis (HGE) is a disease of dogs characterized by sudden vomiting and bloody diarrhea. The symptoms are usually severe, and HGE can be fatal if not treated. 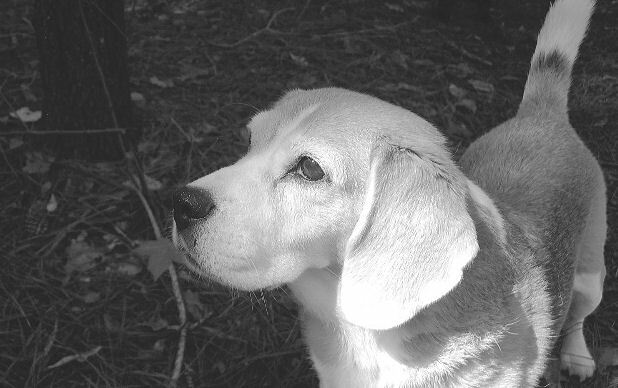 HGE is most common in young adult dogs of any breed, but especially small dogs. It’s not contagious. The article does not mention if any of the food left in the bag(s) these dogs were fed from has been submitted for testing. I hope that has been done and that an independent lab was utilized, as opposed to sending the food to P & G for analysis. I would think P & G would be all over this but as of this morning, both the Iams and Eukanuba websites have not been updated and still contain the August 14 “no illnesses reported to date” verbiage. I will update this post if any significant developments occur today. UPDATE: New information has been revealed on the investigation of three local dogs who died after coming down with a sudden illness. According to the dogs’ owners, the Norwood pet care facility where they stayed and veterinarians, none of the local dogs ate food recently put on a voluntary recall list by Procter & Gamble. This represents a reversal, at least on 3 of the 6 dogs who were affected, on FOX19’s claim that all 6 ate a recalled food. I will update if developments warrant. Diamond makes some of Solid Gold’s foods. As such, I was surprised their website has continually claimed none of the company’s foods were affected by the salmonella recall. Today that changed and Solid Gold has finally issued a recall for 2 of its foods. The news is worded such that customers might think Solid Gold is heroically putting out this information today, instead of waiting overnight in order to coordinate with the FDA, because the company truly cares about the health of customers’ pets. But bear in mind that, like all the other companies involved, Solid Gold has known all along its food was made at the contaminated Diamond plant in SC which was shut down on April 8. Today is May 8. Not so heroic. Solid Gold – Click here for detailed information on which formulas and lot numbers are being recalled. Kirkland – Click here for detailed information on which formulas and lot numbers are being recalled. Wellness – Click here for detailed information on which formulas and lot numbers are being recalled. Natural Balance – Click here for detailed information on which formulas and lot numbers are being recalled. Chicken Soup for the Pet Lovers Soul – Click here for detailed information on which formulas and lot numbers are being recalled. Taste of the Wild – Click here for detailed information on which formulas and lot numbers are being recalled. Canidae – Click here for detailed information on which formulas and lot numbers are being recalled. Country Value – Click here for detailed information on which formulas and lot numbers are being recalled. Diamond – Click here for detailed information on which formulas and lot numbers are being recalled. Diamond Naturals – Click here for detailed information on which formulas and lot numbers are being recalled. Premium Edge – Click here for detailed information on which formulas and lot numbers are being recalled. Professional – Click here for detailed information on which formulas and lot numbers are being recalled. 4Health – Click here for detailed information on which formulas and lot numbers are being recalled. Apex – Click here for detailed information on which formulas and lot numbers are being recalled. Kaytee Forti-Diet (mouse, rat and hamster food) – Click here for detailed information on which formulas and lot numbers are being recalled. Added, May 8: Solid Gold – Click here for detailed information on which formulas and lot numbers are being recalled. If the brand you feed is not on this list and you are wanting more information from the company, click here to visit Google. While there, type in the brand of food you feed. Click the link to the company’s website. Look for anything on the home page titled “recall”, “news”, or similar wording. You may also wish to click the company’s “contact” page to get the phone number. Regardless of whether the food you feed is on the recall list, it would be a good idea to find out if the food was made in the contaminated Diamond plant in Gaston, SC. If you contact the pet food company and are told the food was made at the Gaston plant, I would not recommend feeding it. The plant was shut down on April 8 due to salmonella contamination. If the company refuses to tell you exactly where the food was made, citing “proprietary information” or other nonsense, I would not feed it. Always wash your hands with soap after touching pet food, just as you would after handling raw eggs or meat. Click here for more info from the CDC on how to minimize your risk. If you suspect you may have become ill due to salmonella poisoning, click here for info from the CDC. Symptoms in pets are similar to those in people. 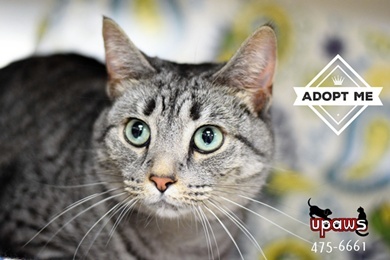 If you do contact a pet food company and receive any additional information, please share in the comments. If you are still recovering from the shock that the brand of pet food you buy is affected by the Diamond recall which you had no way of knowing until Friday night, get hold of yourself. Because you must now navigate the maze of Is It Safe? It’s a challenging little game you can play by visiting the Diamond website (or the website of the brand you feed), scrolling through the list of brands affected and the list of states in which they were distributed, and then getting a Native American code talker to help you decipher numbers on the bag, provided you saved it. Screengrab from the DiamondPetRecall website showing one step of instructions for how consumers can determine if their pet’s food may be tainted with salmonella. Further distribution through other pet food channels may have occurred. But perhaps you are diligently saving bags, checking the brand’s website regularly for corrected information and considering you and your pet to be at risk, regardless of geographic location. There’s more bad news: the food you have still might be tainted. I say that for several reasons. Just because your bag’s state, best-by date and production code doesn’t fall into the current list of recalled foods, it was still manufactured in a plant that was shut down on April 8 due to salmonella contamination. So how safe can you possibly feel about it? In 2006, foods manufactured at this same Diamond plant in Gaston, SC killed at least 76 dogs due to aflatoxin poisoning. Furthermore, the latest batch of recalls was released to the public on a Friday night, the traditional time slot for releasing information bound to negatively impact a company’s bottom line, in order to minimize press coverage. Does this give you a feeling of trust in your brand of pet food, even if it’s not one of the recalled lots? Thanks for playing this round of Is It Safe? The next round begins right now. Do you know if the bag of dog food or cat food you bought was manufactured by Diamond Pet Foods? Probably not, because pet food companies tend to keep as much information hidden from consumers as possible. Therefore if you are one of the people who got sick from touching salmonella tainted pet food manufactured by Diamond, or if you fed your pet one of these tainted foods and are now worried – don’t blame yourself. You didn’t know and the pet food companies weren’t telling. But you know who did know? The pet food companies. Wellness, Natural Balance, Chicken Soup for the Pet Lovers Soul, Taste of the Wild, Canidae, and all the other companies which have now recalled their foods knew their foods were made at the Diamond plant in SC which was shut down on April 8 due to salmonella contamination. And yet they did nothing, until these recalls were issued Friday night. Now some people are in the hospital and others are worrying for their own health as well as that of their pets. This list of recalled pet foods is not intended to be comprehensive but rather to give you an idea of the variety of dog and cat foods being recalled. Only certain lots of each of these brands have been recalled, the details of which can be found at the links provided above. 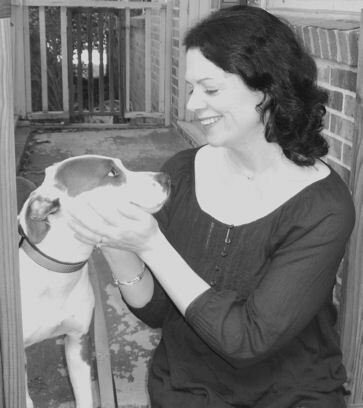 Therese at PetsitUSA follows pet food recalls closely so check in with her blog for the latest information as it becomes available. In addition to the official recall list, remember that Price Chopper warned consumers about some additional Iams products pulled due to aflatoxin. As with previous pet food recalls, it’s possible more foods may be recalled over time. In the interest of being proactive, it may be wise to consider changing foods, at least temporarily, to one which does not contain corn. The grocery store chain Price Chopper has posted a recall of certain Iams dog and cat foods due to aflatoxin. 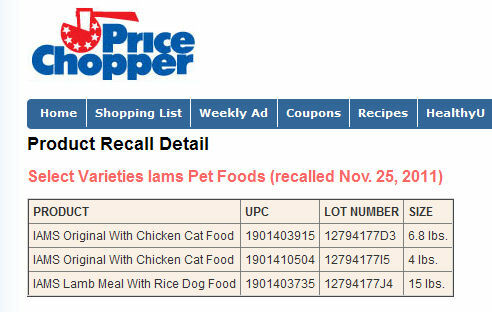 There is nothing on the Iams website about this recall. I called Iams twice, trying to get a person or at least a recording clarifying anything about the recall but no luck. I believe Iams is aware of the Price Chopper posting because when I called Price Chopper this morning, I was informed someone from Iams had called yesterday inquiring about the posting. As far as why Iams would be aware of the recall notice but have nothing on their website or recorded phone info, I don’t know. Screen capture of the recall notice posted at PriceChopper.com. Update: Price Chopper has pulled the recall notice from its website. There is no explanation, just a 404. I haven’t received any response to the online contact form I filled out at the Iams site. Questions, questions. Update #2, November 28: I got tired of waiting for Iams to answer my online inquiry so I called them. Paulette informed me that they have issued no recalls and will not be posting anything on their website about the lot numbers specified in the Price Chopper recall notice. I said she was probably aware that many people were interested in getting clarification on this issue. She said yes but they still weren’t going to address it. She also said consumers can feed any of their foods with “complete confidence”. So, everyone is feeling all confident-like, I assume?